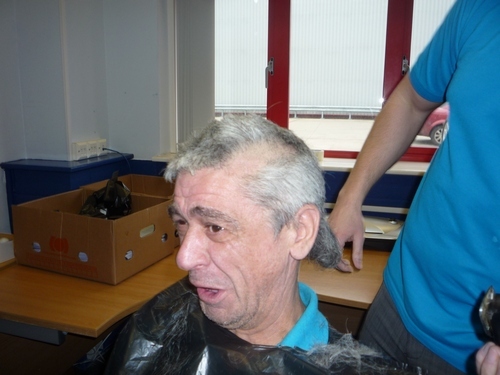 Although it isn’t Red Nose Day until tomorrow one dedicated Anglian employee started his charitable donation today….raising money by having his mop shaved off. Phil Westerby, renowned for his “wahey” hello, was willing to have his hair cut by Anglian’s two “hair specialists”, Gill and Chris, if we could raise £100! Well, we couldn’t let Westerby down and we managed to collect a whopping £130 guaranteeing his hairs fate. 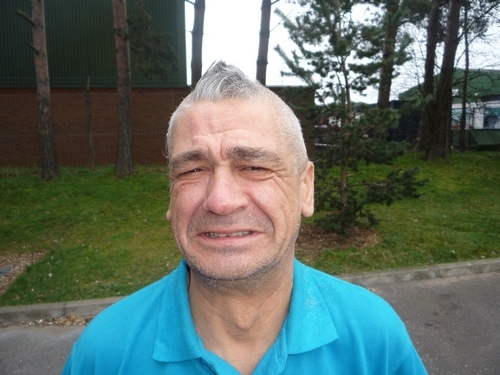 The 30 minute makeover was a relaxed affair…for the hairdressers, but for Westerby, his face says it all. Despite the anxiety of having to wait to see the end product, Phil actually quite likes it as it reminds him of his younger punk days and he may even keep it! 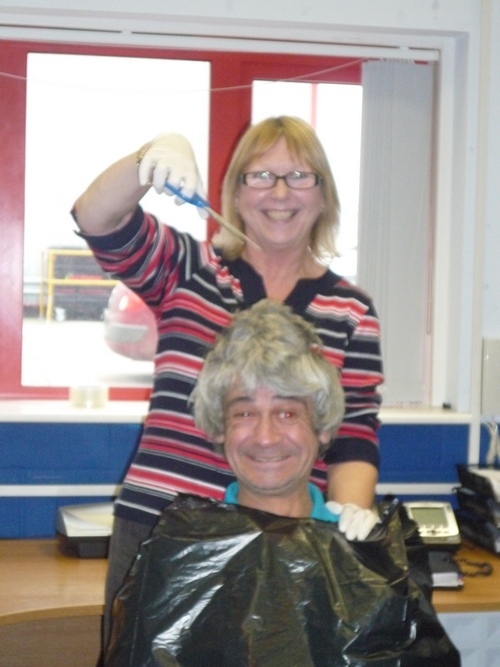 Well done Phil for being such a good sport and raising a massive amount for Comic Relief. I certainly got some comic relief from the pictures! Be sure to check back into the blog tomorrow for more charity madness happening at Anglian Home Improvements, including leg waxing and call centre agents in their pyjamas! Anglian Home Improvements raising the donations for Comic Relief. Visit the Anglian website for information on our home improvement products.